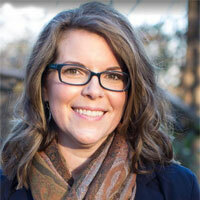 Jess Foster is running for House of Delegates 88th District. American with a splash of Belgian. Native Virginian. Mom of 6-year old, a 4-year old, and 2 furry ones. Wife to blue collar tradesman and responsible gun owner. Daughter to Vietnam Vet and Immigrant. Sister to active duty soldier. Fiercely loyal friend. Attorney. Small business owner and partner. Passionate advocate for the underdog. Mark Cole has served in the Virginia House of Delegates, 88th District since 2002. Mark Cole is responsible for blocking the ERA in Virginia. 2018: Kaine received 48% of the vote. 2017: Northam received 44% of the vote. 2016: Clinton received 39% of the vote.